SOUTH WHITTIER – South Whittier’s Monte Vista Elementary School is setting the foundation for student achievement as the District’s only elementary school to incorporate instructional and learning strategies at the core of one of the country’s foremost college readiness programs – AVID. This is the second year Monte Vista, a fourth- through sixth-grade elementary school, has been using strategies developed by the Advancement Via Individual Determination (AVID) program, including notetaking and academic organizational skills, to promote a college-ready culture. More than half of Monte Vista teachers are trained in AVID strategies, which are designed to help students improve their critical thinking skills and learn time management, organization and goal-setting as they prepare for the rigors of higher education. 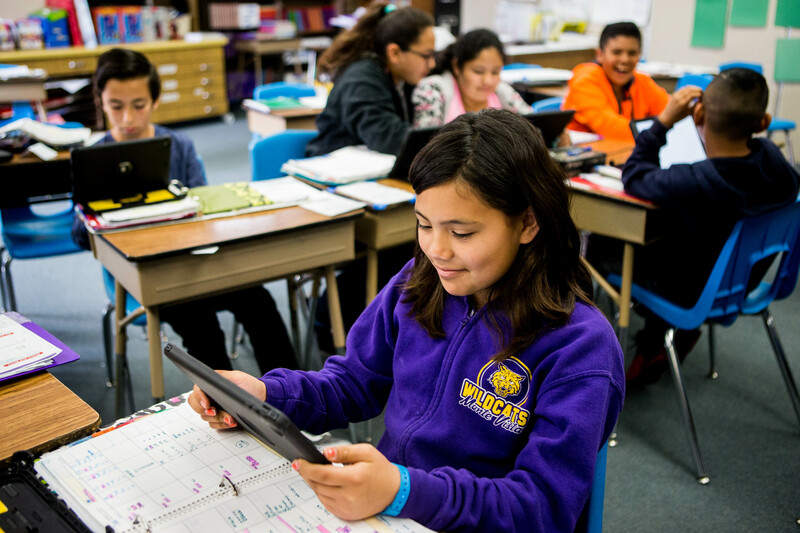 Teachers regularly use instructional techniques that promote inquiry, critical thinking and in-class discussions, ensuring students, including English learners, gain a thorough understanding of assignments, homework and projects. As part of notetaking, students are required to take copious, detailed notes to be used as study guides. Students also have binders, an organizational tool that is checked weekly. Administrators hope to incorporate the program at Los Altos Elementary School, a TK-3 campus that is adjacent to Monte Vista. Plans also include having sixth-graders serve as mentors to the younger learners. 062617_SWSD_AVID1: Monte Vista Elementary School is setting the foundation for student achievement as South Whittier’s only elementary school to incorporate instructional and learning strategies at the core of one of the country’s foremost college readiness programs, AVID. Students are constantly encouraged to ask questions, collaborate and engage in discussions. 062617_SWSD_AVID2: Monte Vista Elementary School students in sixth-grade teacher Olegario Acosta’s AVID classroom learn communication skills, time management, organization and goal-setting. 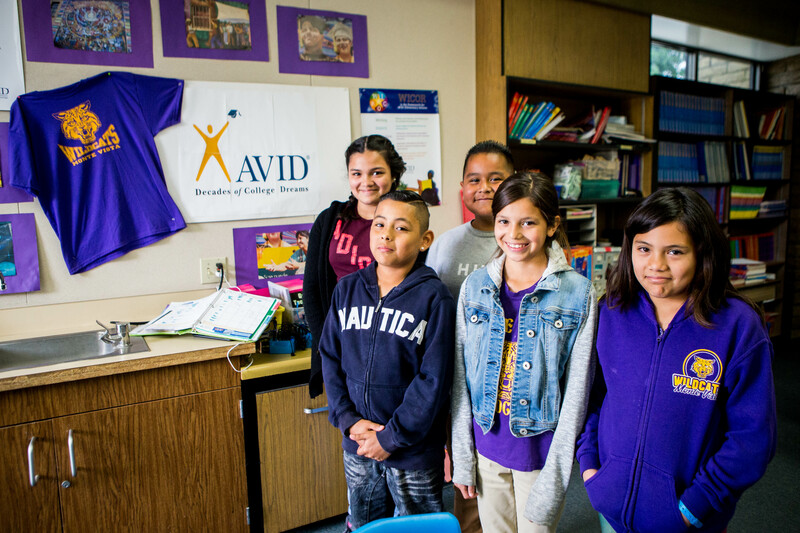 Monte Vista Elementary School is setting the foundation for student achievement as South Whittier’s only elementary school to incorporate instructional and learning strategies at the core of one of the country’s foremost college readiness programs, AVID. Students are constantly encouraged to ask questions, collaborate and engage in discussions. Monte Vista Elementary School students in sixth-grade teacher Olegario Acosta’s AVID classroom learn communication skills, time management, organization and goal-setting.